Unfortunately the Detroit Tigers are gone for the winter and the Bears are, well, Da Bears, so I had to change the title around a little, but week 6 in the National Football League taught us a lot about almost every team in the league. So that happened on a fourth and three in the third quarter when it’s pretty clear to me the ball was not supposed to be snapped. The player under center, wide receiver Griff Whalen, was very noticeably surprised that the ball was snapped and tried to make the best out of it. This might have not only cost the Colts all of the momentum they had in this game, but also their head coach his job. This might be the first straw in what will be a disappointing season for a team many predicted could represent the AFC in the Super Bowl. 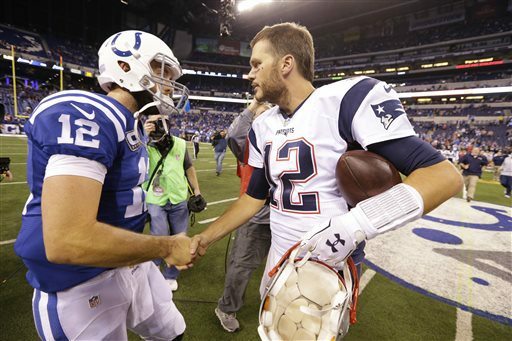 As for the Patriots, this game reaffirmed what many already thought: they are really a good team once again this year. The biggest takeaway from this game on the Patriots side was Tom Brady declining to be interviewed on NBC after the game. This is not the first time he has done this this season; Brady also declined to be interviewed after the Patriots’ first game of the season when they beat the Pittsburgh Steelers. The only time I heard of either of these instances was immediately after the games when NBC on-air talent Bob Costas and Al Michaels made a point of it. I just think it’s a bad look for Brady to continue to turn down national television interviews. It is so easy to just answer the four questions with cliches such as “It was a great team win” or “We’re on to (insert next opponent here).” If no one in the “mainstream media” is even going to bring up the fact that Brady is turning down interviews, then it cannot possibly hurt his reputation that much. Since Brady did not get the chance to say the Patriots’ most famous line, I’ll save you the trouble of having to go look it up: Next up for the Patriots is the 4-1 division-rival New York Jets in Foxborough. The Carolina Panthers shocked a lot of people by going into Seattle and beating the Seahawks, 27-23, on a late touchdown throw from Cam Newton to Greg Olsen. I am here to tell you not to be as shocked as you probably are. Let’s start with Carolina. The Panthers have been playing without their number one receiver Kelvin Benjamin who has been out with a torn ACL. People hoped the rookie wide out they drafted, Devin Funchess, could fill some of the void left by Benjamin, but he has been nearly non-existent. 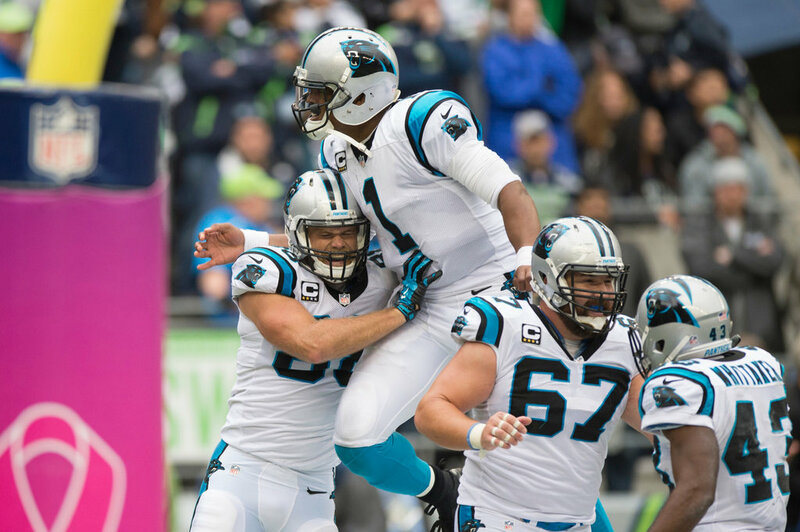 And still Carolina is one of five unbeaten teams left through Week 6 thanks in large part to the play of Newton. With limited talent around him on offense, Newton has made Ted Ginn Jr. a relevant wide receiver, and continues to connect with Olsen when the other team knows he is the only real pass-catching weapon. The story for the Panthers has been their defense. Carolina has allowed just under 19 points a game (which ranks 6th in the entire league), 338 yards per game (ranks 7th), less than 250 passing yards and less than 100 rushing yards per game. The play of corner Josh Norman has been huge, and they just got all-pro linebacker Luke Kuechly back from injury. I could see this team winning 12 games this year and making it into the playoffs in the tough NFC. Still, there is still one question that is still almost impossible to answer right now: are the Carolina Panthers that good, or are the Seattle Seahawks that bad? While I think it’s a combination of the two, I think its more of the latter. The Seahawks are 2-4, and that feels about right for a team that feels like it has been beaten in three of those games. Seattle really dominated the Bears, and the games against the Lions and Bengals feel like they could have gone either way. So two wins just feels right for how they have played. The problem is they are still the Seahawks, who have been the Super Bowl each of the past two seasons and were very close to winning back-to-back championships. This year’s team is simply not as good as the teams who represented the NFC in the Super Bowl the past two years, and that’s going to take some time for people to realize. The trade for Jimmy Graham looks great on paper and is even better in Madden, but does not seem to going so well in real life. Seattle gave up their Pro Bowl center Max Unger and a first round pick to acquire the supreme pass-catching talent, which is a lot for a player who does not seamlessly fit into what your team does offensively. The Seahawks are used to traditional tight ends: players who are there to block for Beast Mode and catch just enough passes to keep the defense honest. Graham is the exact opposite of that: he is basically a wide receiver in a tight end’s body. In case all of that was not enough, Seattle plays in arguably the toughest division in the entire league. The Kam Chancellor situation sent shock waves throughout the team as it sort of went against everything head coach Pete Carroll is known for: being a players coach and putting his players first. It will be interesting to see how this team fares the rest of the season, and how not having home field advantage in the playoffs will affect them. The Detroit Lions… well there is not much to say about them, besides they got their first win of the year by beating the Chicago Bears in overtime, 37-34. I only included them in the title because it made the title work. The Lions were the last team in the league without a win, and now that that’s changed all there is to talk about is how bad they are and how long their head coach Jim Caldwell will last. I’ll save us all the headache and save that conversation for before the 2016 NFL Draft. Coming from someone who did not bet on last night’s game, but would have definitely took the over: Well played, Michaels. This entry was posted in Home, NFL and tagged Al Michaels, betting, blocked extra point, Cam Newton, Carolina Panthers, Chicago Bears, DeflateGate, Detroit Lions, Devin Funchess, failed trick plays, Indianapolis Colts, Jamie Collins, Jim Caldwell, Jimmy Graham, Josh Norman, Kam Chancellor, Kelvin Benjamin, Luke Kuechly, Max Unger, NEvsIndy, New England Patriots, NFL, over/under, Pete Carroll, Seattle Seahawks, Super Bowl, Ted Ginn Jr., Tom Brady, unbeaten, Week 6. Bookmark the permalink.